It is highly programmable, and therefore extendible, with custom procedures that are used to to simplify the execution of repeated, complex and often required database operations. 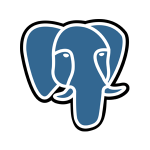 This is an open source connector to work with the PostgreSQL database in your integration flows. In addition, this component also works well with AWS Redshift. It supports both triggers and actions, which means you can use it either to execute or to act upon a certain event. For example, you can execute it to return multiple results, and thus stream as many records as you’ll find in your database. Like with all other elastic.io connectors that are under the Apache license, you can clone it and enhance it yourself to include more functionalities out of the box. Alternatively, you can contact our pre-sales team at ps[at]elastic.io if you prefer our developers to extend the PostgreSQL integration connector for you. PLEASE NOTE: You need to be registered on the elastic.io integration platform in order to use the PostgreSQL integration connector. You can sign up for a trial period here.